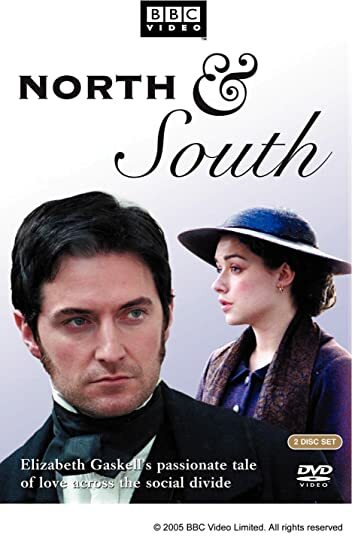 North and South Elizabeth Gaskell's excellent novel gets adapted for film in fabulous style. Heroine Margaret moves from the country to a factory town and has a hard time adjusting. Actor Richard Armitage rivals Colin Firth when it comes to playing the misunderstood brooding hero and Brendan Coyle of Downton Abbey fame is memorable as the union organizer of the cotton mill. 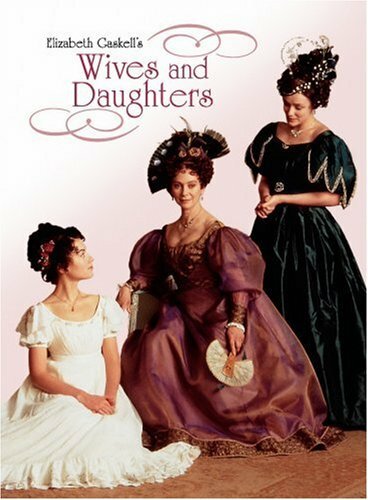 Wives and Daughters Another Gaskell adaptation, young Molly must adjust to life when her widower father remarries a woman who has a grown daughter Molly's own age. 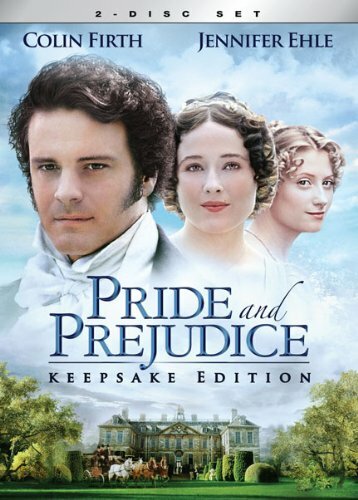 Pride and Prejudice Colin Firth and Jennifer Ehle are fabulous as Darcy and Elizabeth Bennet. Really, this adaption is the best as far as I'm concerned. Other adaptions have their good points, but nothing rivals this six hour version of the novel. Anne of Green Gables and Anne of Green Gables--the Sequel Anne of Green Gables defined my childhood in many ways, both the film and the book. I was introduced to the novel by the film. It was the first time I encountered a red-haired heroine and I fell in love with Lucy Maud Montgomery's writing. Although the Sequel doesn't follow the book like the first movie does, I enjoy it too. 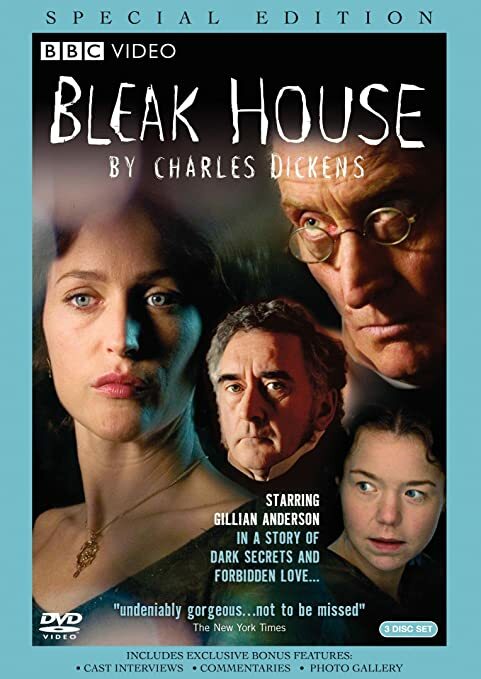 Bleak House This Dickens adaptation has a riveting multi-layered storyline! One episode would quickly turn into just one more. And the cinematography is excellent! 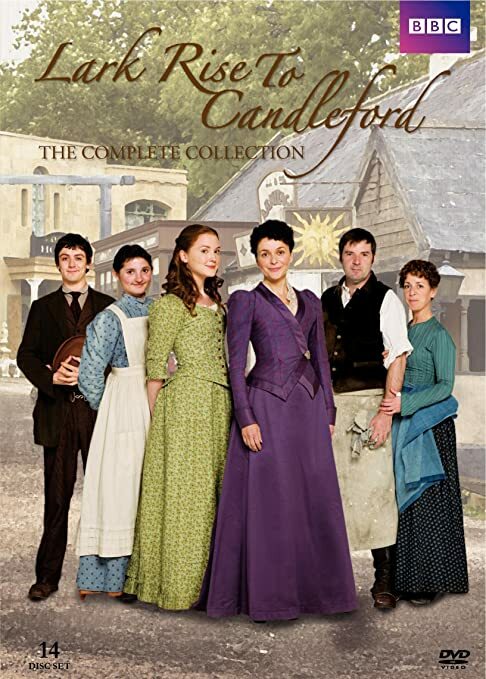 Lark Rise to Candleford I can't tell you how much I loved this series! I discovered it when I was nursing Sophia and was so sad when the final season ended. You'll recognize Brendan Coyle yet again and Julia Sawalha (who played Lydia Bennet in Pride and Prejudice) is all grown up and the head of the local post office in this charming series. 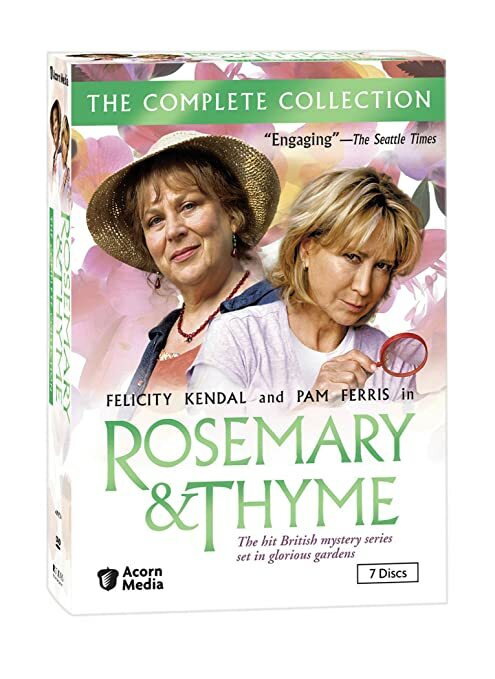 Rosemary and Thyme Murder. Afternoon tea. English gardens. Just a day in the life of two middle-age professional gardeners and amateur sleuths. 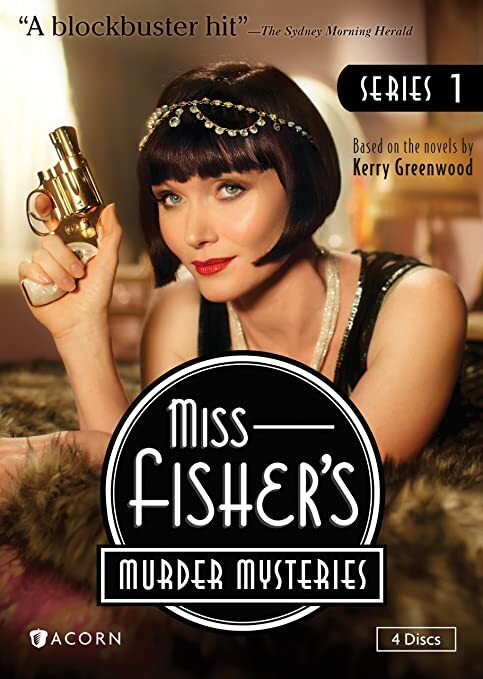 Miss Fisher's Murder Mysteries 1 & 2 It's the 1920s in Melbourne, Australia. Phryne Fisher is a "lady detective" in a man's world. Dressed to impress, this pistol-packing fashionista is smart, sophisticated, and ready to solve the latest crime. Doc Martin Doc Martin is new in town. 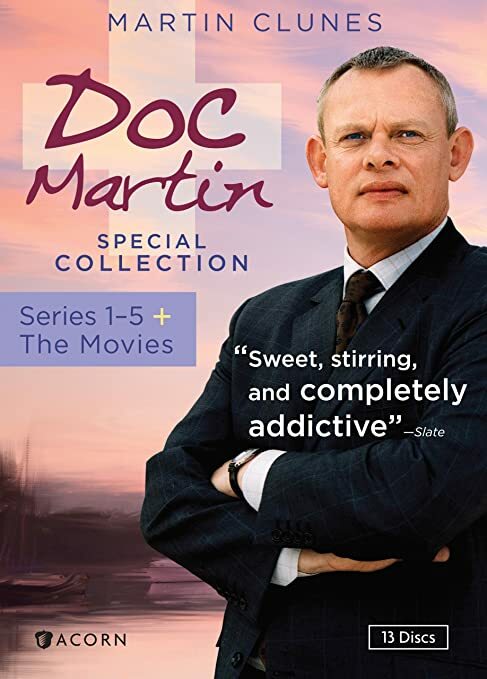 Formerly a surgeon, but having formed a crippling fear of blood, Doc Martin becomes the GP of the small town of Portwenn, filled with quirky characters. Martin who is surly, tackless, and lacking people skills doesn't fit into the town's friendly and tight-knit community nor does he try. 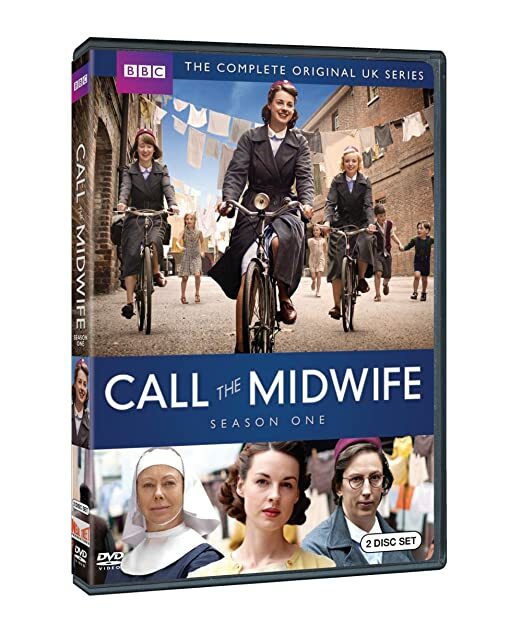 Call the Midwife Call the Midwife follows Jenny, a newcomer to London's East End Anglican convent, where she is to work as a midwife. The series is incredibly heartwarming, life-affirming, sensitive, and thoughtful as it deals with poverty and women's issues of the time. So there you go, I hope you find a new series to enjoy! What movies or series are you watching?